As usual, Europe experienced its launch of the Playstation 4 today, about a week after its launch in the States. Also, as usual, shops could barely keep up with the demand, leaving many fans of the next generation with empty hands. Sony is of course doing their best to fulfill everyone’s wish for that little black box, and I’m sure that during the Christmas days most of Europe’s die-hard gamers can enjoy the console. As much as I’m interested in that little piece of technology, I haven’t even tried getting a pre-order. Not because I’m a quarter pessimist (the rest of me is carefully optimistic), but because I have reasons. Yes, I have very serious reasons. As many of my previous posts proof, I’m a big fan of TCG’s. I’ve been dipping my toes into Magic now and then, supported HEX and have also devoted some webspace to Blizzard’s foray into the digital TCG market. One little gem that I haven’t covered yet is Shadow Era, a cross-platform digital TCG developed by Wulven Game Studios. Shadow Era is, frankly, not very revolutionary when compared to other TCG’s. Deckbuilding and gameplay draw their inspiration from many other titles, and anyone who has ever invested some time and money into another card game will feel right at home. So why should you care then, if you might as well continue playing Hearthstone or good ol’ Magic? Well, for starters, Shadow Era is quick and simple. Understanding the mechanics isn’t hard, and matches are done within a few minutes. Also, the fact that you access the same account no matter from which device means that you can truly play it anywhere. Bored during lunch at work? Hit up the web-based version and play a quick match. Stuck at a boring Thanksgiving meal with the in-laws? Proof how stealthy you are and finish a match on your iPhone while pretending to care about your sister-in-law’s sob story! If the accessibility of the game isn’t enough for you, take a look at what Wulven Game Studios is trying to kickstart right now. 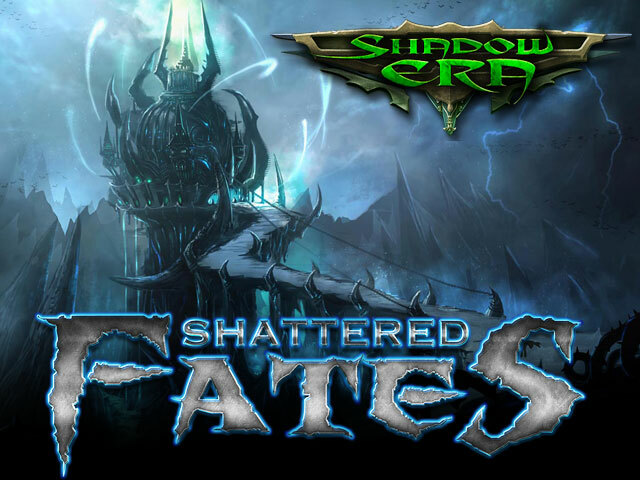 Shattered Fates will not just be another expansion with a bunch of cards, but will also introduce some quality-of-life enhancements and much awaited features like automated tournaments and an auction house. Right now, the KS is nearing the half-way mark with two weeks left. It’s gonna be a close one. If Wulven Game Studios makes it, Shadow Era will be all the more worth to check out. So, either pump some money towards the TCG-loving Canadians, or give the game a spin on their homepage. Just be careful when playing during visits to your in-laws: actually playing during dinner might not be worth the consequences. Don’t say I didn’t warn you! Less than a week ago, I wrote about how you could make me care about gear in RPG’s again. I think I made it quite clear that gear should be something personal and not just a sheet of numbers waiting to be replaced by bigger numbers. Well, today’s blue post from Crithto reminded me that there’s also another way of making gear interesting to me, namely by giving me choices. Before I dive further into that, let us analyze the aforementioned blue post. As already announced during this year’s Blizzcon, Warlords of Draenor will bring significant changes to stats found on gear in World of Warcraft. We already knew that stats like Hit and Parry would go the way of the dinosaurs, and new stats like Movement Speed and Cleave would add some new colors to the itemization palette. Today’s post by Crithto went into further detail, explaining the differentiation between primary, secondary and tertiary stats, while also making clear that armor pieces and weapons will harbor different stats. This post is the harbinger of great change, fundamentally changing the way gear will work in WoW. Especially the fact that primary stats will change depending on the specialization your character has active means that gearing will take less time, as one set of armor will most likely be enough. This leaves room for choices, which leads me to the reason for this post. Many MMORPG’s participate in the gear treadmill, where every new dungeon forces you to slay a dozen bosses hundred times to get the better items with the better stats and the better looks (at least you hope they’ll look better). It’s not a matter of choice to go after these new stat-sticks: if you want to be part of the endgame, you’ll have to get them or you’ll underperform and hold back every raid you join. Imagine a world where, at every raiding tier, you would have a choice. Sure, you’ll need that basic set of items to keep up, but what if there was enough room for differentiation and hunting for unique variations of your items? I hope Warlords will bring WoW one step closer to that world. The removal of stats like Hit and the end of reforging might be seen as a shot in the knee of customization, but what use is customization if you can go only one way? Why not give every character the necessary stats to be competent, while still allowing the powergamers to go that extra mile? Reforging could have a place in this world, offering a way to add tertiary stats, but I guess Blizzard does not see it like that. We’ll only know how well the new itemization will work once Warlords hits (which I predict to be February 18, because I am an optimistic moron with no sense for reality), but I sure can’t wait to see the end of off-spec gear and the need to hit that hit cap (pun intended). It saddens me when a name from “the good ol’ days” (and to a twentysomething like me that’s everything from the early 90’s to the zeroes) gets dragged through the mud in the name of “rebooting” the franchise. Nine out of ten times, you end up with a travesty that gets brought to life purely to profit from the nostalgia invoked by it. It’s a shame, and it rubs me the wrong way. It especially rubs me the wrong way when it’s done to one of my favorite franchises. Enter Legacy of Kain. For those who do not know, LoK was pretty succesful in the late nineties and early zeroes. Games like Legacy of Kain: Soul Reaver and Blood Omen were praised for their innovative story and setting, and even later installments like Defiance were well-received and surely put Crystal Dynamics (which has been swallowed by Square Enix if I am not mistaken) on the map. What made the franchise shine was the intriguing gothic setting, a story about destiny and time travel (though I didn’t dig that part for reasons explained earlier) and really cool characters. However, after the release of Defiance, silence cloaked the franchise…until this year. Recently, Nosgoth was revealed: a multiplayer, team-paced third-person action game, portraying the fight between the humans and vampire clans of Nosgoth. Though the announcement of a new game in the world of LoK hyped me at first, the realization that we would be moving from character-based, story-driven games to an attempt to milk the recent success of free-to-play games felt like a stab into heart of my inner fanboy. This franchise offers so much more than just an excuse for random battles between teams of teenager-controlled avatars! Why not utilize the rich setting created by the previous games and create something appropriate? Why has no one ever suggested a RPG based in Nosgoth? Have us create our own vampire from one of the clans, navigating him through the bloody and dangerous politics of Nosgoth’s monstrous bloodsuckers. Heck, even a MMORPG would be something I would endorse. As long as the product would capitalize on the strong points of the original games: intense combat, enganging action-adventure elements and a daunting storyline about fate, time and the role we play in the grand scheme of things. Does Nosgoth use any of this? Doesn’t look like it. Can I already say if I won’t like Nosgoth? Not really, but the game will have a damn hard time of convincing me. That is, unless they find a way to combine squad-based action with a storyline that has cool dialogues like this one. Well, one never knows. But one can have a bad, bad feeling. Tyler F.M. Edwards of Superior Realities has recently given us a short summary about his love/hate relationship with RPG’s, highlighting what he likes and doesn’t like about the genre. One of the issues he has with the genre is the fact that your character’s gear hardly feels important. In fact, most games make it something replacable, merely a way to give your character bigger numbers so he can fight bigger enemies. Yeah, that makes gear important for beating the game, but how does it make it important for your character? What I’m arguing for here is to make gear cool and personal again. Give me, as a player, to start caring not just for my character, but also for the equipment he carries. Give me ways to spend my adventure with not just fellow heroes, but also with that wand my character earned after graduating from the magical college. If the item has durability, make me really watch that so it doesn’t break and it’s lost forever. Make the destruction of an item equal to the death of a character: dramatic and plot-changing. Alright, that might be a bit too much for video games, but it emphasizes my point: make gear more than just numbers on my character sheet. Instead of bragging about my new epic from last night’s raid, let me tell other players about my character and his blade Seven True Strikes, the sword he felled the demon lord with. 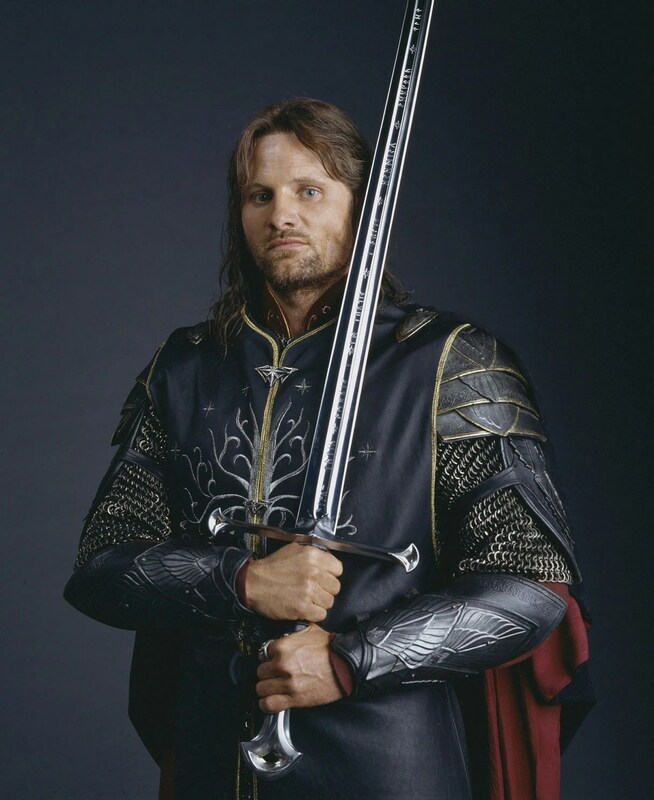 Lord of the Rings Online is going in the right direction with their legendary items, but it’s not quite there yet. Let gear scale with your character, allows us to customize it, just give us ways to not feeling forced to replace it. RPG’s are about role-playing, so please let me incorporate the gear into role-playing my character. Can’t explain why he changes weapons every week, y’know! I hope all of you have seen one of the greatest movies of our time. I’m talking about a piece of film that has forged our pop culture and that was years ahead of his time. Or decades behind it, depending which of the three we’re talking about. Which movie series am I talking about? I’m talking about Back to the Future of course! Back to the Future must have been my first exposure to the concept of time travel as a kid. The idea of literally racing back (or forward) in time intrigued me, but back then, the idea of watching a show about five teenagers fighting Japanese sentai show stock footage also “intrigued me”. All I saw then was a cool idea involving a DeLorean, but as I grew older (and more critical), I realised that everything involving time travel just bugs me. The first time I noticed how much of a problematic plot point time travel is was while reading Harry Potter and the Prisoner of Azkaban. While the build-up to the reveal of the Time-Turner was done nicely (both in the book and the movie), the introduction of such an item brought with it the question of “Why don’t we use this damn thing to set everything right?” The absence of such a powerful tool in the later books annoyed me even more, considering how it would have been just the right tool for about every problematic situation. And here lies my problem with time travel: the moment you introduce the possibility of going back in time to change things, you open up a can of worms, or rather one of plot holes and inconsistencies. The entire concept is difficult to begin with, so why would you as an author think you’re able to handle it the right way, without damaging your plot and the suspension of disbelief of your audience? Of course, there are ways of handling time travel right. As much as I despise the new movies (though I still have to see Into Darkness. I’m a prejudiced prick), Star Trek and the MMORPG based on it solved most of the problems of time travel by deciding that the events of the movie simply created an alternate timeline, in which the new movies and the MMORPG progress. It’s not a perfect solution, but it gives me some comfort. Hopefully, Blizzard is taking notes for their upcoming time-jumping adventure. Nevertheless, time travel is something I find hard to enjoy. The reason for that might just lie somewhere in my past, but considering I won’t be up for the destruction of our timeline, we’ll never find out. Sunday is a nice and calm day, so why not make it nicer with a little wrap-up of what has been happening in the life of the Chin, the blogosphere and geekdom in general? Below, you’ll find all of that, but first check out the awesome video above. Combining Pacific Rim and Power Rangers is just like combining peanut butter and chocolate: they were meant to be together. In anticipation of Warlords of Draenor I’ve been busy getting my Troll Monk Umaru up to maximum level. He’s at 74 now, and I hope to be through Northrend before next weekend. Sounds easy, but keep in mind I don’t have that many hours a week available to game. Talking about next weekend: I’ll be taking a break from it all and visit Riga, Latvia with my man-friends. Sightseeing, beer and horrenduous jokes…I’m looking forward to it. There was this NaNoWriMo thing as well…have to look into that. Started to read the excellent Alt: ernative blog by the Godmother of Faffing. Right now, she’s organizing a contest about the release date of Warlords. If you want to win a fancy shirt, give it a guess! Crystal has a cool post about being cool in the gaming community over at her blog. Thought I was the only one writing motivational posts? Well, you’re wrong! Kojitmal has a great piece of motivation for all you NaNo’s out there! I know I have quite a few amateur programmers and armchair game designers among my readers, so the following piece of news is for you. PlayIR is currently running an IndieGogo campaign for the interesting-looking product. If you would like to be able to develop little mobile games with almost no coding and/or programming skills, make sure to visit their website or back their campaign. Products like these are great entrances into the world of game design and should thus get our support! That’s it for this week. Have a nice and easy Sunday!